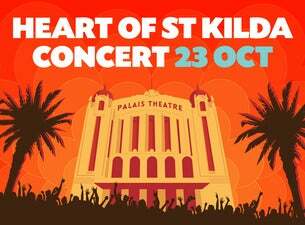 Join the Sacred Heart Mission on Tuesday 23 October from 7.30pm for the 11th annual Heart of St Kilda Concert at the Palais Theatre! The Heart of St Kilda Concert raises much-needed funds for our Meals Program, based in our Dining Hall in Grey St, St Kilda, which supplies free, hot and nutritious meals 365 days of the year to people experiencing homelessness and disadvantage. Archie Roach, Kate Ceberano, Tex Perkins & The Fat Rubber Band, Anne Edmonds, CDB, Linda Bull & Sime Nugent: Stardust, Bob Franklin, The Cartridge Family, Thando, Nath Valvo, Alma Zygier, Margret RoadKnight, Loose Tooth, Rebecca Barnard, Billy Miller & The Caravan Choir and The Meltdown. The wonderful Brian Nankervis will again take the lead role as our MC. Put the date in your diary now and don’t miss this totally unique, celebratory night of entertainment for the whole family, helping to raise funds for a vital cause. ZoeCarousel, 2017: We loved the variety of acts and that everyone looked like they were having heaps of fun. Was great to get to see such a fantastic show and to know it was all going to a good cause. We came away saying we'll make this an annual event. 1AmazingGrace 2016: We are so fortunate to live where so much talent abounds and where the generosity of these people is endless! Brilliantly compered! Truly, Brian Nankervis is without peer! The entire evening was alive with passion and emotion. Upbeat, engaging, pathos, musical, sobering and joyful. Hard to pick a favourite moment! Bena 2015: Great entertainment from comedy to awesome musicians of varied genre. Highly recommend and will go again. Great charity too! Value for money!